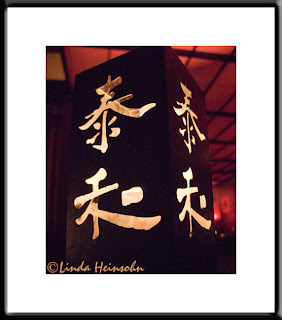 Last night Hugh's co-worker's took him for dinner Yamashiro restaurant in Hollywood. Stunning! This is one of the table lanterns in the bar. In very low light I was bracing the camera on the table then tipping it upward to take in as much of the lantern as possible.